Home-based food and delivery start-ups are all the rage these days – spurred on by the success of directories such as Just-Eat, companies such as recipe box delivery business Gousto have spawned a host of imitators. One business in the sector that is truly unique, however, is young entrepreneurs Bar Segal, Daniel Kaplansky and Zifeng Wei’s business Eatro – a site which allows passionate amateur chefs to sell boxed-up recipes to local people from their homes. 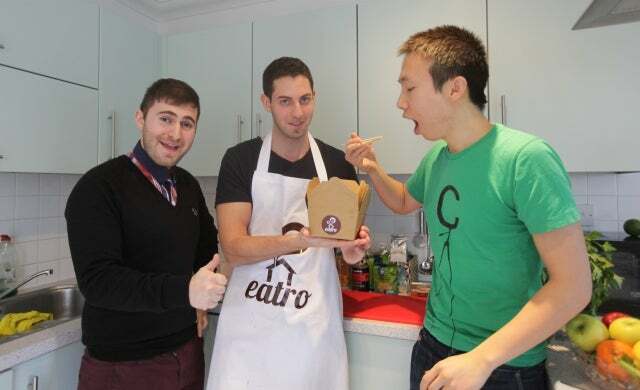 Borne out of frustration with “bland-tasting and repetitive” takeaway food in London, Eatro allows people to get the taste of authentic home-cooked food without lifting a finger themselves. The idea is simple, yet immediately appealing, and backed up by a smart revenue model which will see Eatro take a 12% commission on every meal purchased through the platform. Launched just a month ago, the nascent company has already been covered in the London Evening Standard and Financial Times, amongst others, and the team are expecting profitability towards the end of the year – already a remarkable degree of success for what is the trio’s first ever venture. Backed by £50,000 pre-seed funding from a group of Israeli angel investors in addition to a £10,000 loan from Start Up Loans, the founders have big plans for Eatro, as well as an ambitious aim to shake up more “ancient industries” with novel propositions.